When she was told about Carter’s question, Tu Nidito Executive Director Liz McCusker explained how their grief programs provide children, teens and adults with the support they need to talk about the losses in their lives—subjects such as grief, sickness and death that can be taboo in our culture. Carter and Olivia’s dad passed away more than three years ago after he was diagnosed with lung cancer at the age of 42. Carter was five at the time, Olivia was eight. Carter, who is now in third grade, says that one of the things he likes about Tu Nidito is that he could talk about his dad and how he feels in the privacy of the “Littles Group,” because whatever was said was kept in confidence by others in the room. He also likes Tu Nidito’s Volcano Room, with its padded walls and punching bags. Carter has moved up to the “Middles Group” with Olivia, who likes that she can talk openly in their group and that there is “zero judgment” from others. Now in sixth grade, Olivia’s new skills include being able to tell her school friends how she feels and when she is having a bad day. Chris was a charitable and charismatic person. 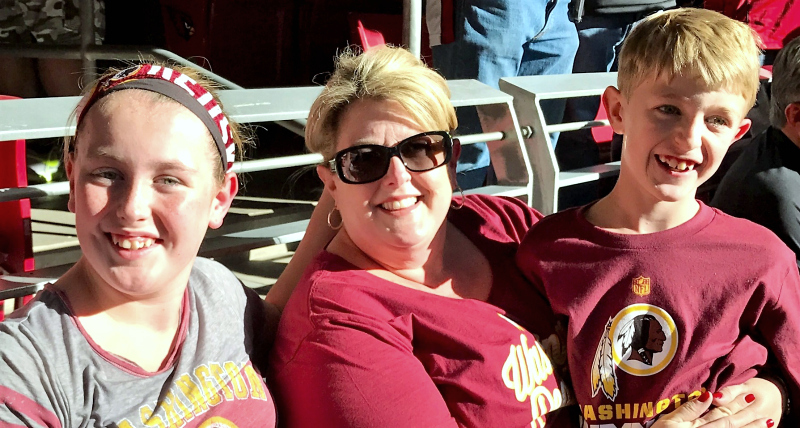 He loved his family and the Redskins, Orioles and Wildcats. His memorial service was a tailgate party where the guests were invited to wear their favorite sports gear instead of dressing in black. Jennifer laughs when she recalls that even Cowboys fans wore their t-shirts and hats even though Chris wasn’t a fan of their team. 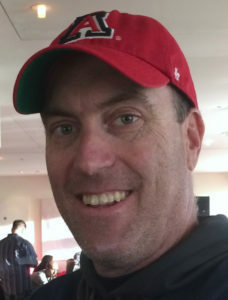 To honor his memory, the family established the Chris Ferrell Memorial Donor Advised Fund (DAF) at the Jewish Community Foundation. Jennifer also has plans to place a large boulder at the East Lawn Cemetery that contains some of his cremains and is engraved with a line from a Tragically Hip song: Loved. Fully, Completely. Another generous and forward-thinking anonymous Foundation donor with a DAF began discussing a $50,000 matching grant to Tu Nidito in 2015. When the Tu Nidito Endowment Fund was established in 2016 at the Foundation, the Ferrell family made the first matching gift from their DAF. Forty-three other generous donors followed suit. The Tu Nidito Endowment Fund is now $107,000 and the nonprofit is ready to take the campaign public. “Because of the endowment, we will not have to raise every single penny of our annual budget each year to meet the needs of our families, who benefit so much from our free services,” says Liz. As an endowment grows through more contributions and investment earnings, the payout to the nonprofit can grow too. If the fund reaches $1 million, for example, Tu Nidito would receive a check for $40,000 each year (at the current Foundation payout rate and market conditions, which, of course, can fluctuate). That could, for example, cover services for 40 seriously ill children, send 80 children to bereavement camp, or keep the utilities on for a year in the warm, home-like Tu Nidito facility. “We are so proud to have Tu Nudito in the JCF family. 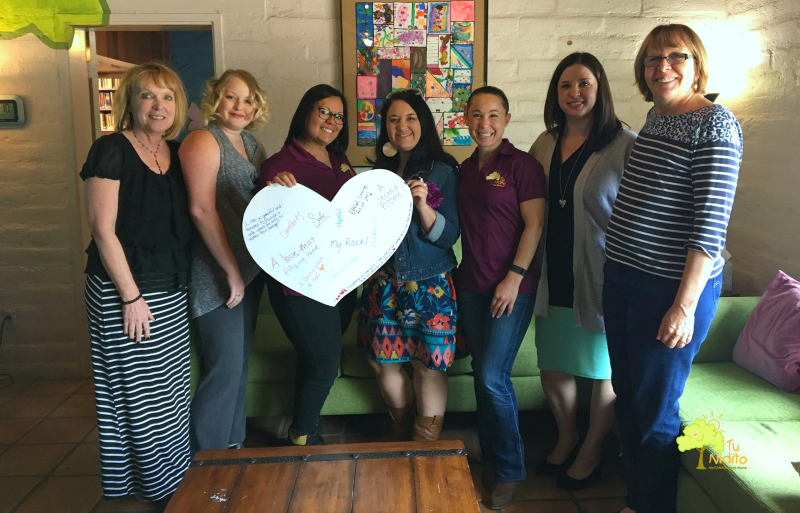 The organization is bringing invaluable programs to families in need, and when Tucson thrives, we all thrive,” said JCF CEO Tracy Salkowitz. If you have an interest in helping Tu Nidito grow their endowment fund, you can make a credit card gift online here. To request a distribution from a DAF at JCF, go to Donor Central or give us a call at (520) 577-0388. Read about other JCF donors who are making a difference.